Portland Boulder Rally: Best in the US? Hosting 400 competitors & a $10k cash prize ain’t easy. Peter Dixon tells how. The third annual Portland Boulder Rally has come and gone. The fields where stacked with some of the strongest climbers in America. Tens of thousands of dollars were given out as either cash or amazing raffle prizes. And of course, the routes were fun and exciting to climb on. You may not realize how much work goes into putting on this type of an event. 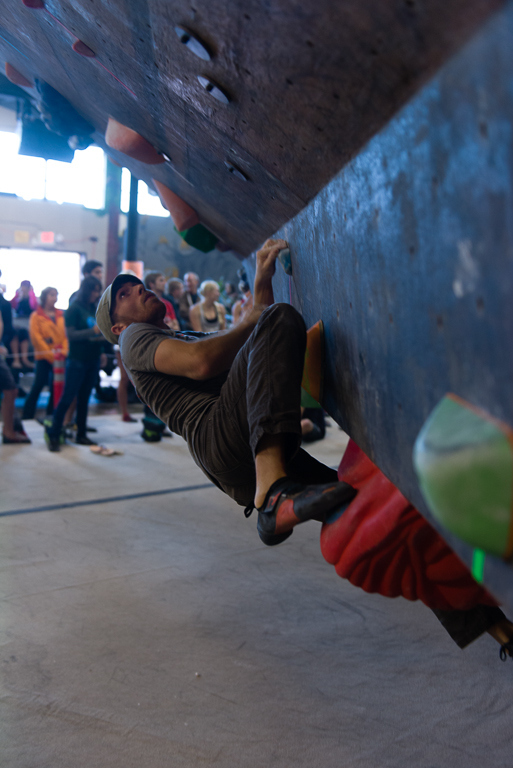 400 competitors made this the largest climbing competition ever held in the US that I have ever heard of, and hundreds of hours were spent rallying support, gathering sponsors, planning the minute by minute, as well as organizing and executing dozens of meetings. This but SCRATCHES the surface of everything that went into what we all saw as the final product – a well run, well organized, well executed, and to be frank, the best damn competition I’ve ever been to. And certainly the most fun. So what does it take for a competition to grow and thrive? 1) A Community of climbers interested in high-profile events. 2) Support from investors and companies that can clearly see a return on investing in these events. 3) A spacious location to host these events. 4) And of course: Competitors. 1) Talk to your local gym owner, manager, or route-setter and let them know how cool it would be to have more competitions and events. You could even host your own event, no matter how big or small this psych and energy will help keep the momentum going. 2) Send a letter, email, or drop by a local business that may have supported an event you thought was really great. Let them know how cool it was that they were there and if you like what they offer show them some support in return. 3) Thank the host of the event you enjoyed so much! A lot of times gyms are lucky to break even on competitions and with events as big and awesome as the Portland Boulder Rally you might be surprised at the costs associated even with sponsorship’s. Letting them hear your appreciation can go a long ways to assuring the event happens year after year. 4) Sign up and compete! You don’t have to live in Boulder or crush V15 to have a good time hanging with friends and enjoying the scene. Competitions in general tend to turn some people away but shed those predispositions aside and enjoy the friendly, supportive and not so competitive side of competition climbing. Or, you can always sponsor your favorite dirt bag rock climber. Since it can be really hard to make a living as a professional rock climber you can usually find ways to donate on someones you tube channel, blog site or Facebook. There are lots of ways we can all help keep these events alive, so show your support, climb strong, and check out this list of local, regional and national competitions coming up soon.